"We are very disappointed and astonished that the Council have not been able to meet their commitment to the people of Edinburgh to keep Leith Waterworld open until the Royal Commonwealth Pool is fully reopened to the public. We are extremely concerned that the administration have not followed due process, particularly in relation to fostering equality in the city. Cllr Brock did not want to go into details today. Is she, or indeed the council, in possession of the full facts? This SNP/Lib Dem administration is making decisions about service provision for children and the disabled in Leith based on innuendo and rumour. Over the three weeks the administration have refused to engage with the campaign and provide full and fair information. Cllr Brock has repeatedly provided different and misleading details on the costs and the lack of consultation with the community. There was no substantive debate on the issues in the Chamber, simply ad hominem attacks on Councillors who listen to their communities. SNP Cllr Cardownie’s statement that he would not have made his promise to the people of Edinburgh in 2007 if he knew it would be taken literally is beyond belief. Can any commitment he, or Cllr Brock, now makes be relied on? This is symptomatic of the disconnect that exists between this administration and the people of Edinburgh. This is the not the end. We will continue to oppose this closure until the doors are locked. We will now enjoy Christmas with our families and will consider all our options." Thanks SplashBack for extreme efforts. 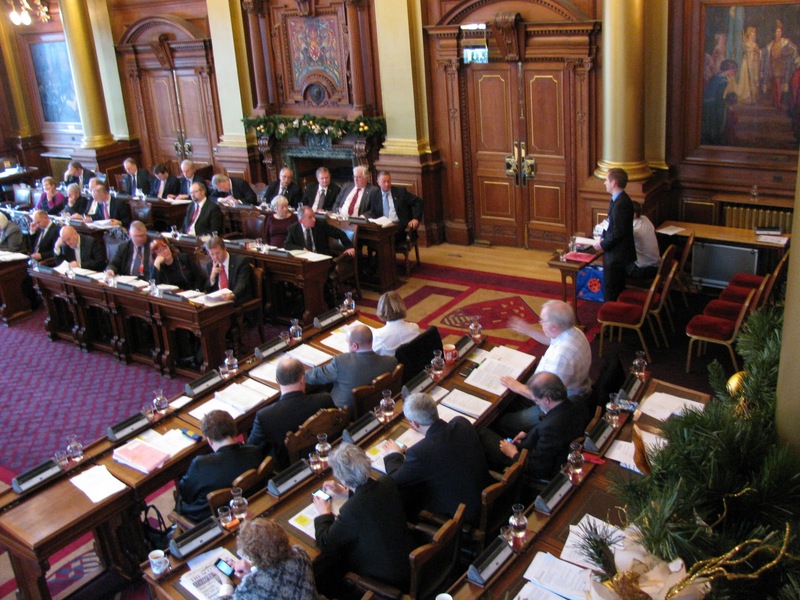 This council and councilors are a new "Disgrace of Edinburgh" Shame on them all. (I have never heard such a stupid comment S.C."False hope is better than no hope" What is he on?) Too many closed ears and unspoken opinions. What are they afraid off? Great pic. 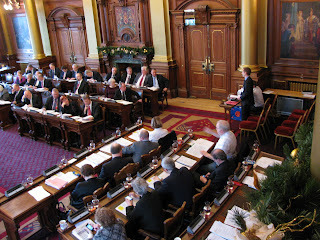 Check out all the Labour councillors texting whilst I am speaking. Cheers fellas good to know you're paying attention! And the dude with the newspaper out in the botom left, nice.